Accessories with personality haven't been forgotten from this season's trends. Like this elastic bracelet with green agate and rhodonite beads. We predict love at first sight when you try it on! 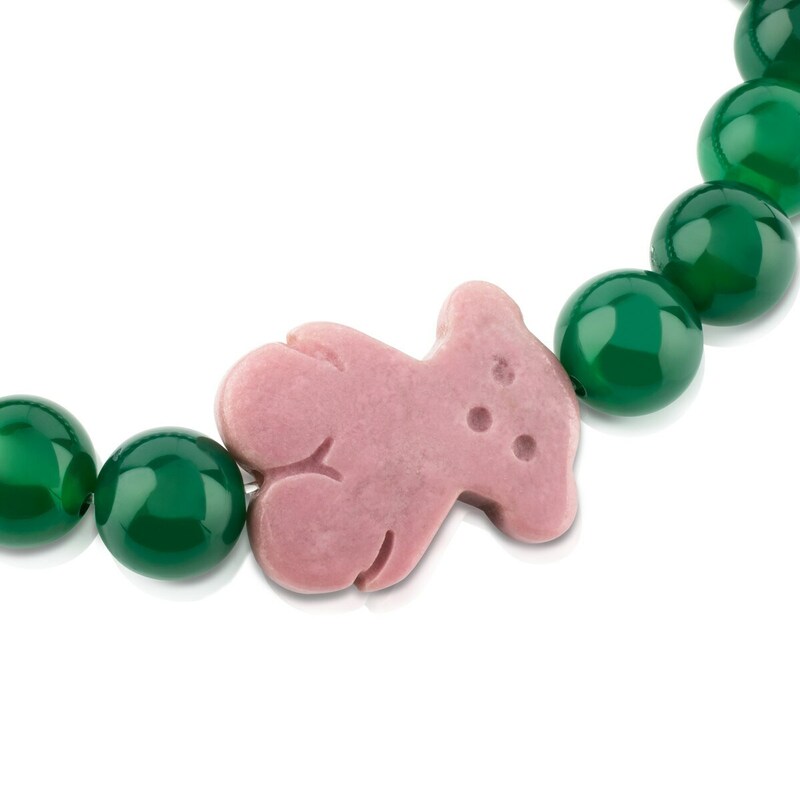 Sterling silver TOUS Bear elastic bracelet with 8mm green agate balls and rhodonite. 16cm.